The latest Porsche 911 is probably the ultimate usable sports car. 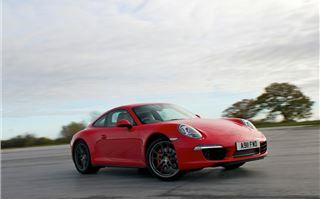 It's well-built, reliable, looks great, and drives as well as any rear-engined car with at least 350PS has any right to. No wonder the basic concept has been around for 50 years now. But the 911's been subjected to a process of continual evolution throughout its first half century. 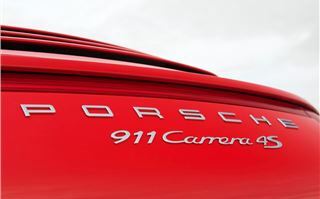 So although the classic 1963 911 might bear a vague resemblance to the new 911, there's nothing shared between the two - even if there's a clear DNA link. 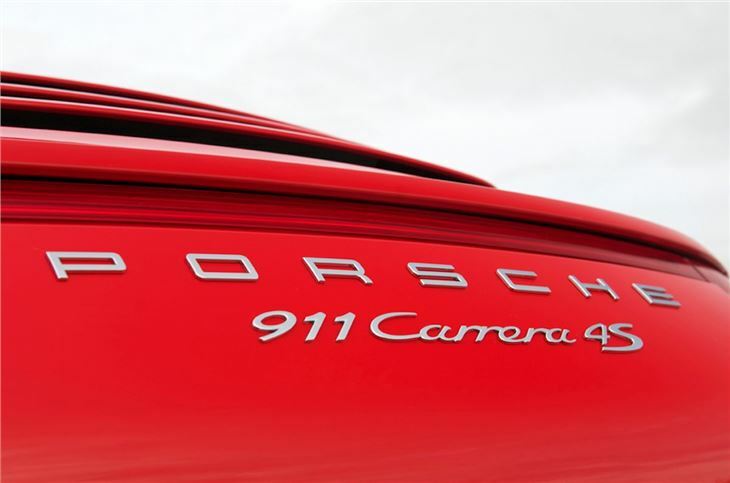 There have been some major advances through the years in order to keep the 911 on the pace - none more so than the arrival of four-wheel drive in 1989. Now - the theory went - you could have your cake and eat it, by going fast in the wet in your 911, and not go off at the first bend. 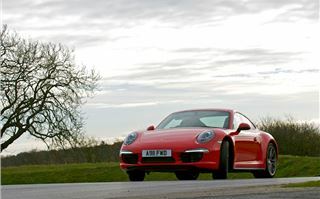 Twenty-four years later and the four-wheel drive 911 is still going strong. 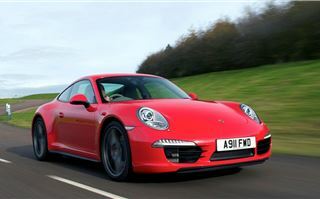 It arrives in the UK in two basic forms - 350PS 3.4-litre Carrera 4 and 400PS 3.8-litre Carrera 4S. Each model is also available with the option of a seven-speed PDK twin-clutch automatic or as standard with a new seven-speed manual. 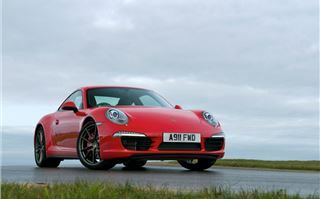 You can also buy your new 911 C4 in Coupe or Cabriolet form. 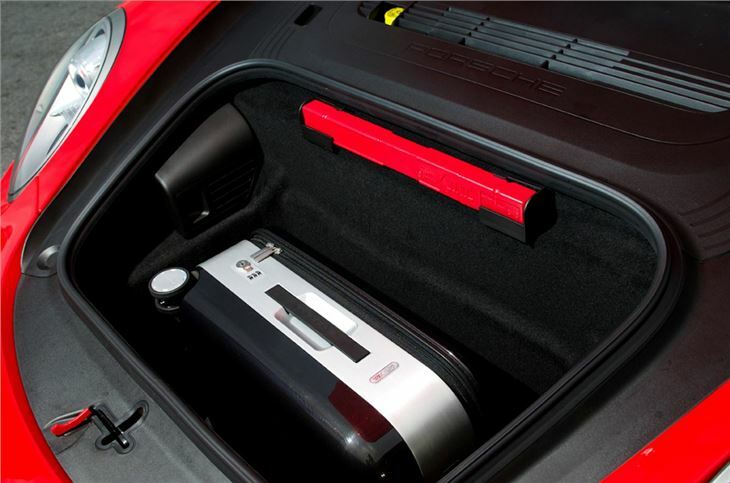 Porsche clearly believes in choice. And that's certainly the case if you start delving into the options list - it's extensive. Very extensive. 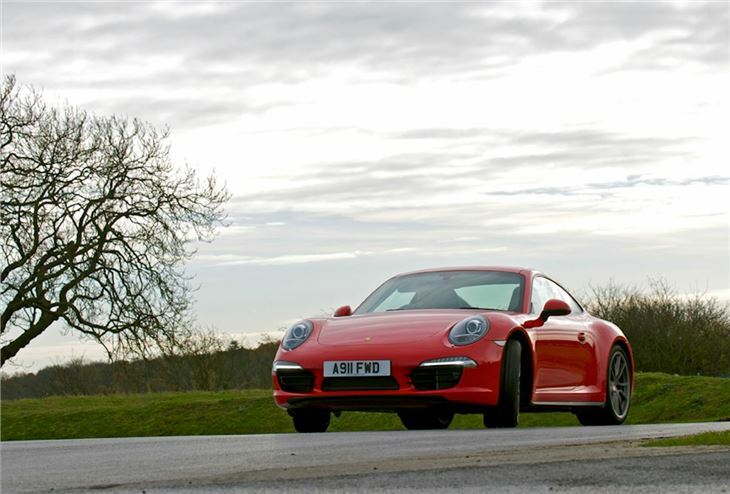 It's best to think of the £77,924 list price for a basic Carrera 4, as the start of a very long adventure. 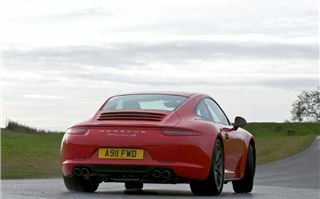 We've already tested the two-wheel drive 911 Carrera and Carrera S models, so won't go over too much old ground, suffice to say that the Type 991 model is the best 911 yet in terms of performance quality and all round ability. The engines are unchanged and the model line-up mirrors the two-wheel drive car's. And that means it retains all of that car's positives - interior and trim quality are top drawer plus unlike any other sports car rival, it's commodious enough to accommodate four (well, two plus two very small kids), and enough luggage for a long weekend away. But there are many areas where the Carrera 4 is subtly different from its two-wheel drive cousin and one or two where there's clear blue water between them. 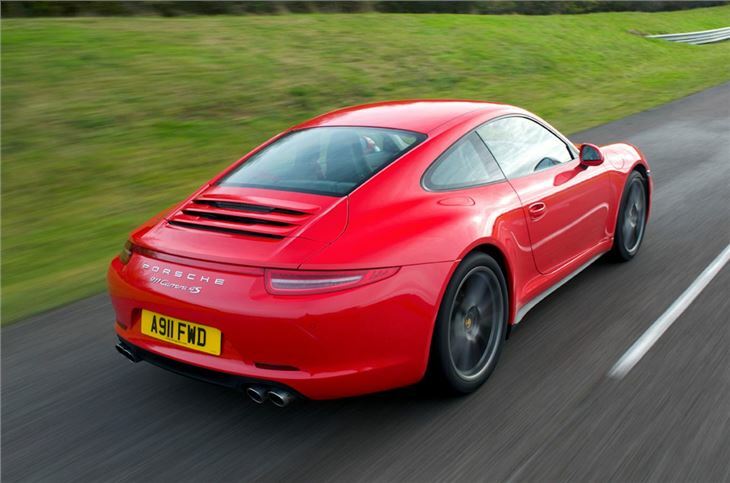 Visually, the 911 Carrera 4 is easy to spot (for 911 spotters). It has new daytime running lights at the front and a slightly different front bumper, while the rear end is wider and now has an illuminated red strip between the rear lamp clusters. 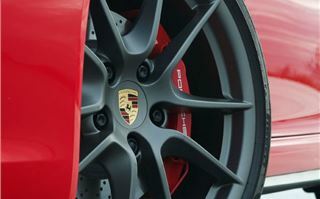 The adoption of the wide body is down to the need to accommodate Porsche’s latest active four-wheel-drive system, which demands a 44mm wider axle line. 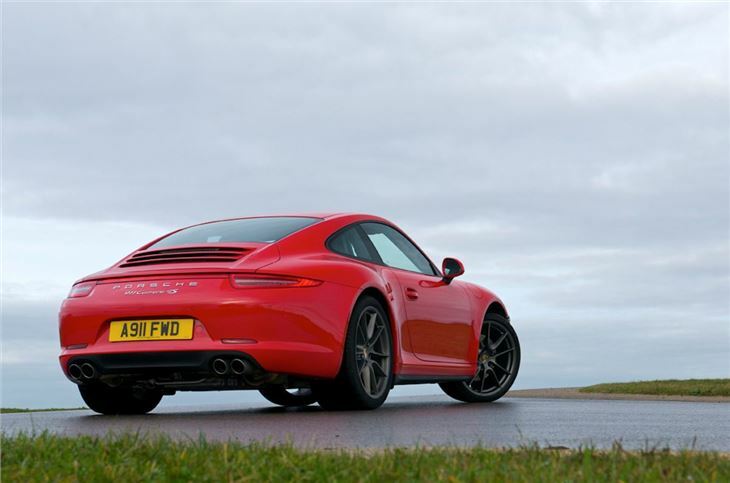 But what's important is how the 911 Carrera 4 drives - and the good news is that for those slightly wary of the rear-wheel drive version, this car will be an altogether more reassuring prospect. For a start, it feels more planted on demanding, cambered roads and you'll certainly appreciate the way in which it feels more mature and less nervous when you start pressing on, especially when it's wet. But don't worry and start thinking that the excitement has gone. It might be easy to come to that conclusion as you head down the motorway - the ride quality really is rather good, and once in seventh gear, it cruises as well as a mid-line family saloon. It's when you leave the motorway that matters liven up. 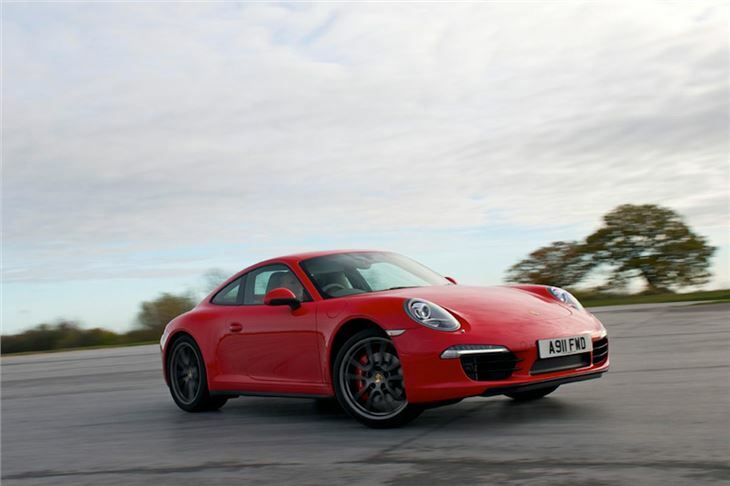 The 911's all-wheel drive system is very clever and actively manages the way torque is split, front to rear. 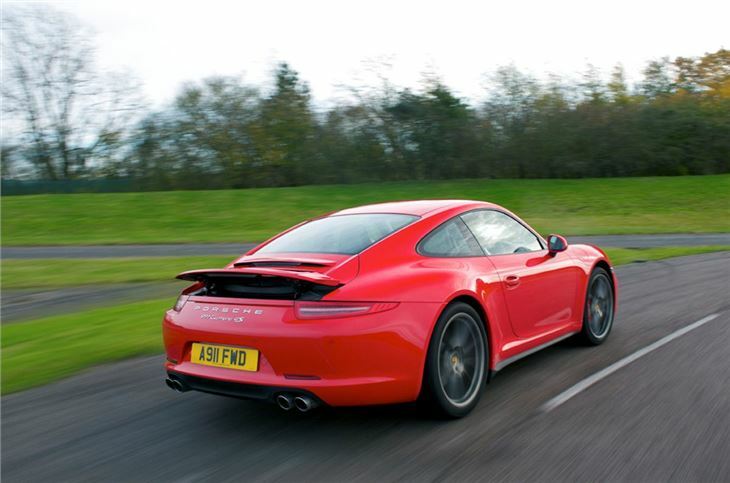 Most of the time, the 911 Carrera 4 acts as a rear wheel drive car, with perhaps 10 per cent of torque being pushed up-front, but when the conditions get more slippery, more drive is sent to the front, levelling grip and lessening the likelihood of a slide. And what's impressive is that you really don't feel any of this through the steering, allowing you to enjoy the drive without having to marvel at the tech. Of course, the latest 911 has a new electro-hydraulic power steering set-up, which does a good job of feeling slow and numb at low speed, but becomes more alert as you speed up. Performance is little different from the two-wheel drive car - what is lost in acceleration through the additional 50kg of kerb-weight is gained through additional traction. The 0-62mph times and maximum speeds are pretty much identical. 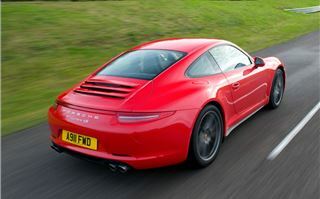 We tried both the Carrera 4 and 4S, and think the additional £10,000 for the latter is money well spent. Although the Carrera 4 is quick, you do need to work at at, or wait for the revs to rise beyond 5000rpm to let the flat-six its best, at which point it's brilliant. 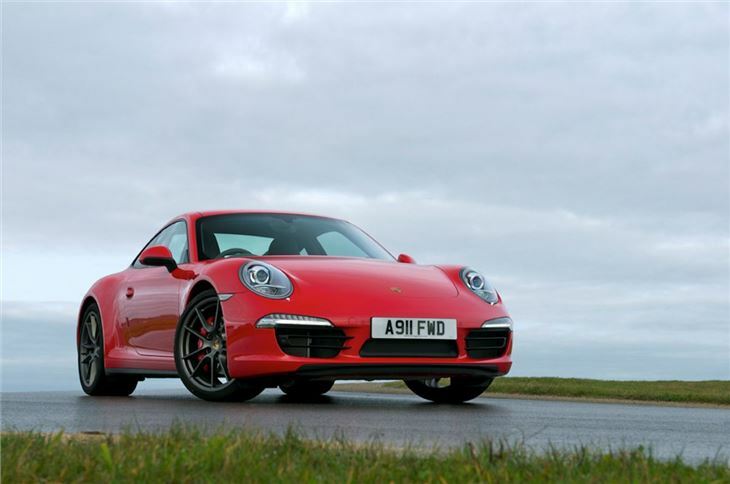 The Carrera 4S accelerates with more urgency - and with a sharper, more charismatic engine note - from lower down the rev range, which makes it feel far faster than the relatively modest 50PS power hike would have you believe. In short, it feels more special and performs as you'd expect a 911 to. 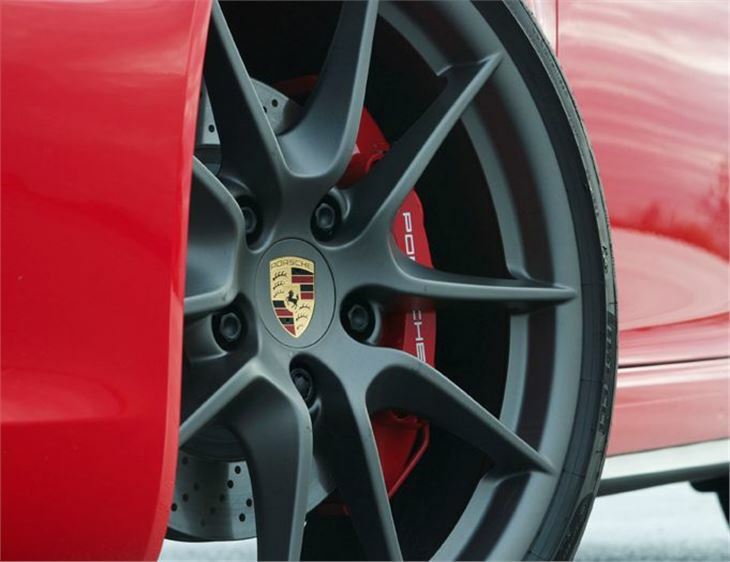 The seven-speed manual gearbox comes as standard with the PDK twin-clutch transmission offered as an option. Given the choice, we'd take it latter and according to Porsche, most buyers do, too. The seven-speed manual transmission works better than you think, as long as you consider seventh a motorway overdrive, with the lower six more closely stacked. Interestingly, we couldn't directly change into seventh from any other gear than sixth (it's locked out), so Porsche see it as being rarely used. But ultimately, the PDK transmission is so good, with no loss in performance (and an improved 0-62mph time), that unless you're completely married to the idea of an old-fashioned gearstick, you'll be ticking that option. 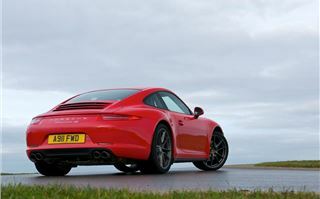 But back to the original question - is the Carrera 4 worth the additional cost over the two-wheel drive car? Absolutely, yes - there really doesn't appear (on public roads) to be a dynamic pay-off, but with the added advantage of all-weather and season security, it makes perfect sense to us. 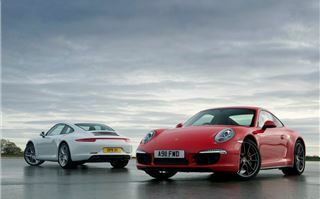 The 911 Carrera 4 Coupe and Cabriolet are on sale now.